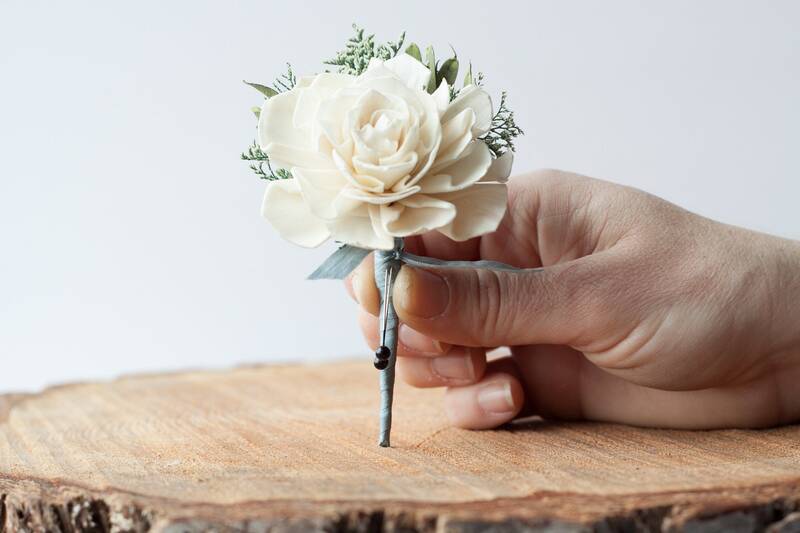 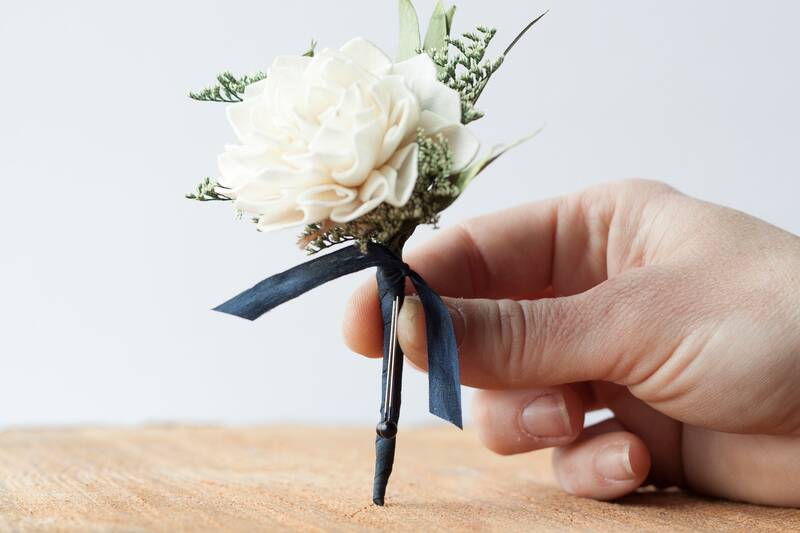 This boutonniere is great for anyone who wants a simple look that will make a statement with its soft, ribbon. 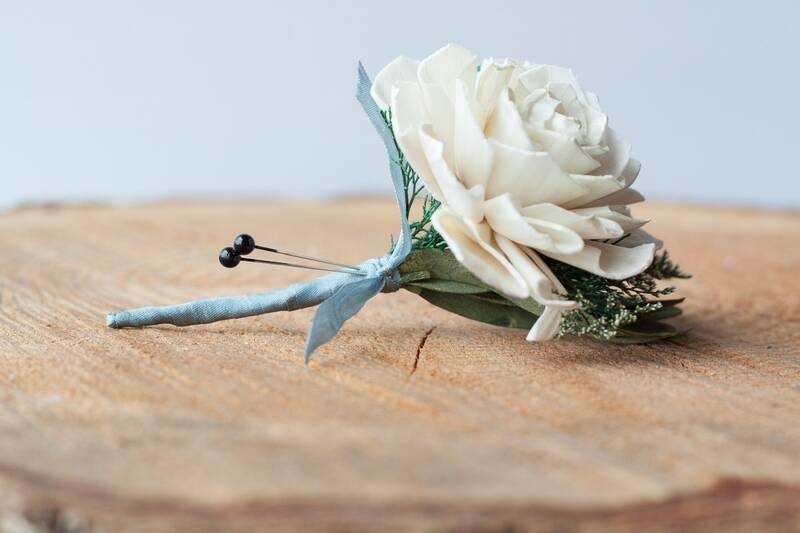 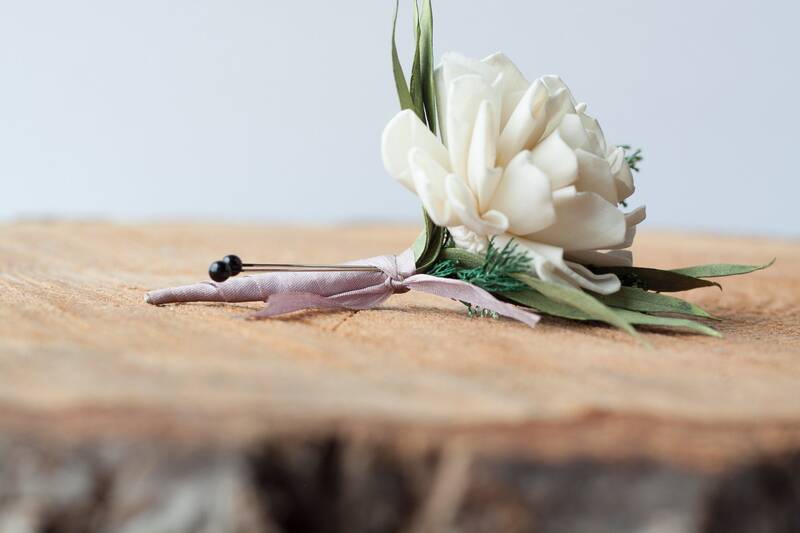 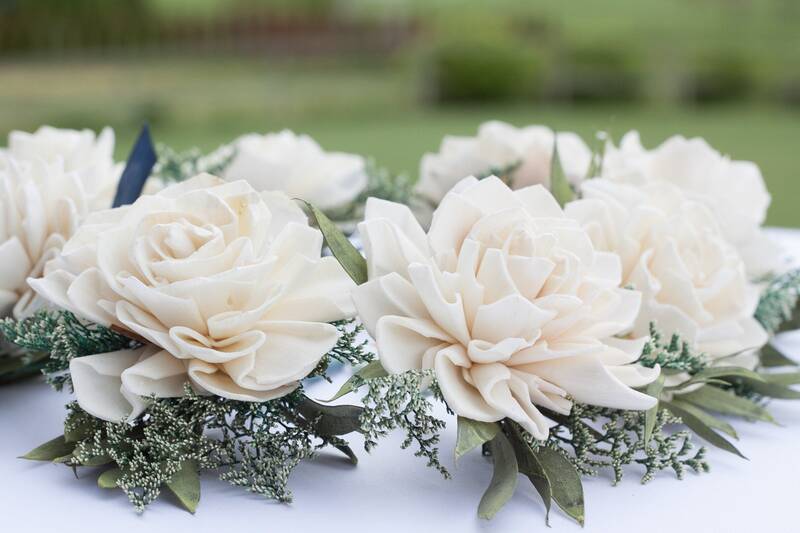 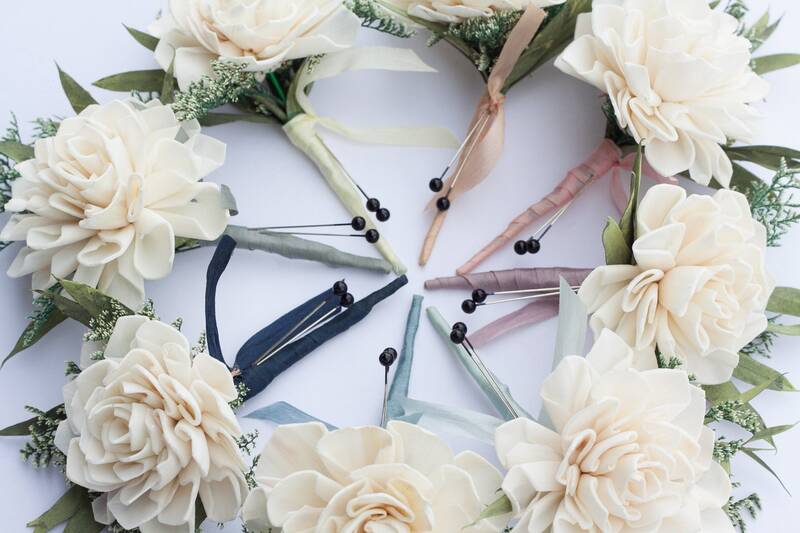 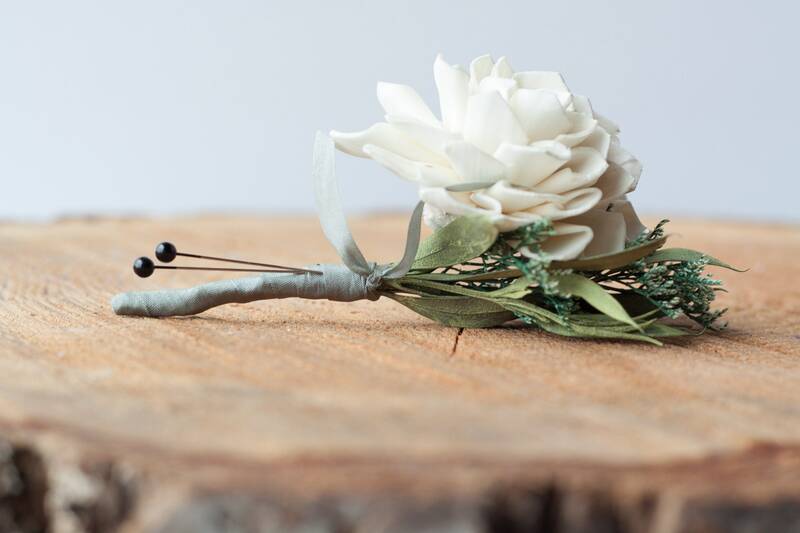 The boutonniere is made with a dahlia sola flower, preserved greenery and velvet ribbon stem 100% silk ribbon wrap. 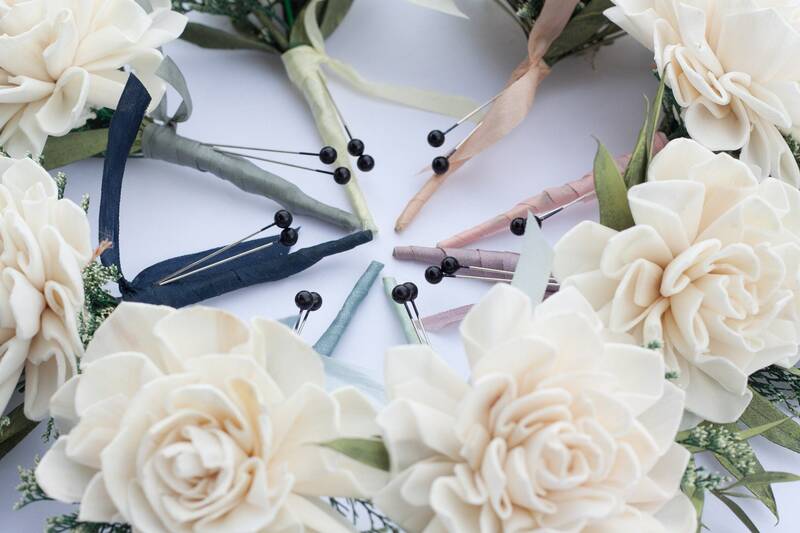 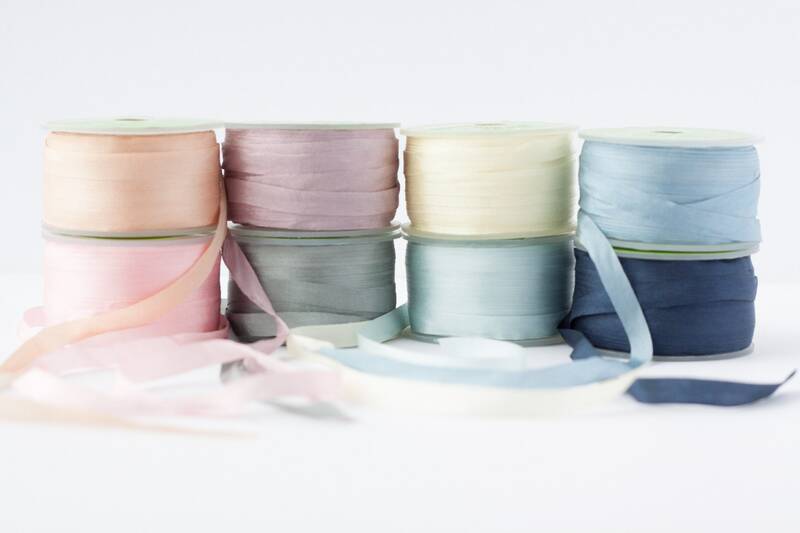 At checkout you can choose your ribbon color and add the option of a rhinestone spray in the boutonniere. 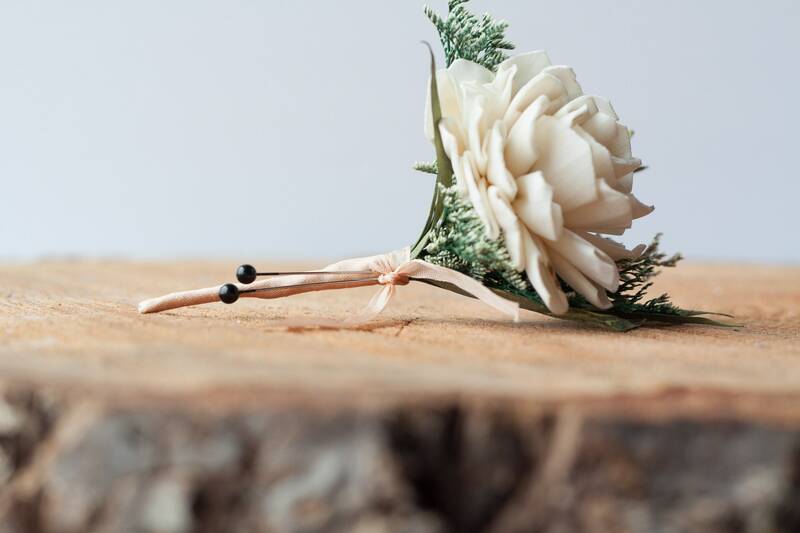 Each boutonniere will be shipped with two black boutonniere pins.